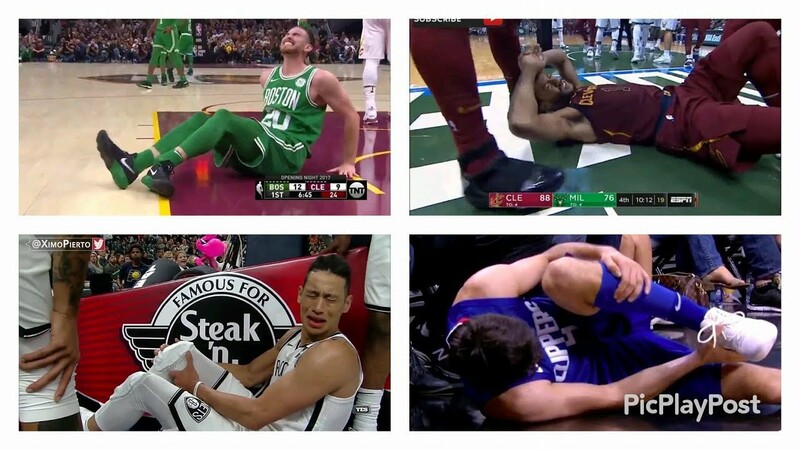 In the 2017-2018 NBA season, there have been a surprisingly high amount of injuries most involving key players: Gordon Hayward, Chris Paul, Jeremy Lin, Tristan Thompson, Iman Shumpert, Derrick Rose, and Isiah Thomas ETC. The injuries have caused plenty of complications to teams such as the Cavaliers, who started the season without Kyrie Irving who was traded for Isiah Thomas with a hip injury. Derrick Rose is also injured. Former Cavaliers player Kyrie Irving is playing on his new team (Boston Celtics) who also has their issues; however, they are having an amazing season despite the fact they lost their best small forward. Gordon Hayward had a severe injury on the opening game of the NBA season with a fractured ankle, a nasty injury that put the team in shock. He is said to return in early April. Jeremy Lin of the Brooklyn Nets has suffered a season-ending knee injury. All injuries, unfortunately, occurred within a span of three weeks which is really drastic for the league.